Zinter Brown Roasted Garlic and Onion Jamboree is a symphony of potent savory ingredients of garlic, onion, sugar, water, pectin, citric acid, balsamic vinegar, and a variety of spices merged to create an award-winning formula. Enhance stews, casseroles or stir-fries with Roasted Garlic and Onion Jamboree. Creates an enticing glaze for roasts, game, steak, or sausage. 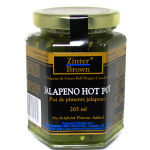 Heated, Jamboree is a fabulous garlic dip for shrimp, meatballs or chicken fingers. Enjoy roasted garlic spread on crackers with goat cheese. 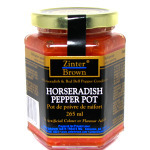 Try our tantalizing pork roast soup or lamb recipe. If your creative juices uncover another mouthwatering roasted garlic and onion jam recipe, please share it with us! 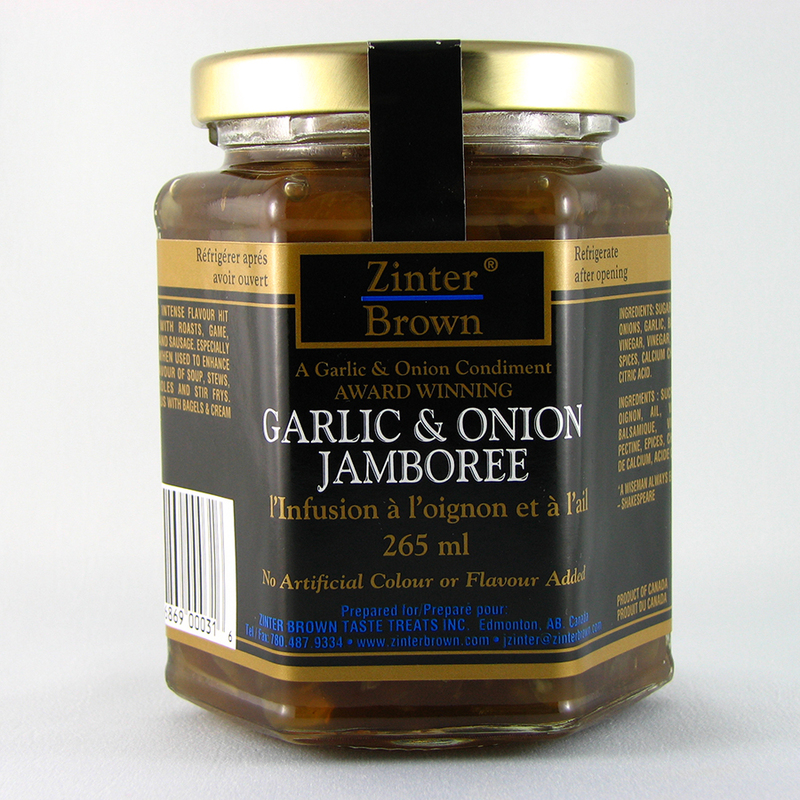 From roasted garlic and onion jam to gourmet jellies to holiday gift baskets, Zinter Brown makes gourmet cooking simply delicious! We offer local and international shipping.